TSMC Fab 14B output has hit a speed bump due to the use of substandard or wrongly specified chemicals in the production process. The result is that about 10,000 wafers of chips have rolled off production lines with lower yields than one would expect. Fourteen TSMC customers will have supplies impacted, claimed a report published by ET Today in Taiwan. Importantly to HEXUS readers, among the TSMC customers facing repercussions from this production error are the likes of Nvidia, MediaTek, Huawei, and other heavyweights. As TSMC discovered the production problems it immediately closed down the affected lines and stopped using the material. Some time is required to re-start the affected production lines after cleaning up, and time will be used to test and salvage chips that are still usable, despite the chemical error. It isn't detailed how much the chip yields will be impacted. DigiTimes has some more background info on what went wrong, to supplement the brief incident report shared by ET Today. The 12/16nm production lines at Fab 14B were affected. 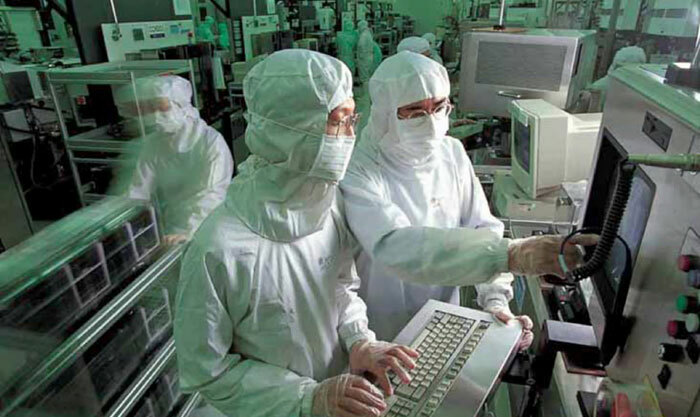 In terms of the chemical issues, it seems that a shipment of photoresist material from a vendor with years of trouble-free collaborative work with TSMC slipped up and supplied a batch that was "significantly below the quality of its previous shipments," according to a TSMC statement. Impacts will be minimised, with affected customers alerted with notice of replacement and delivery schedules. As for TSMC's business, it still expects to meet its first quarter guidance given on 17th January 2019. The news was released by TSMC in a Taiwan stock exchange regulatory filing on Monday night, to keep investors up to date. It will affect some of AMDs last gen production and Nvidias GPU side IIRC? Yeah, AMD's 16nm XBoxOne and PS4 chips may be affected, and pretty much all of Nvidia's 12/16nm GPUs, depending on what they were running in the fab at the time. AMD's 7nm stuff is fine, and most of AMD's 14nm is made at GlobalFoundries. I've already had a Zotac RTX 2080 Ti Amp that failed within 2 weeks. Obviously could just have been a random failure but ?